I am a U.S. citizen and own rental real estate in a foreign country. Am I required to report my rental income on my U.S. tax return? 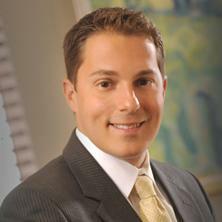 Giovanni Alberotanza is an attorney in Rosenberg Martin Greenberg’s nationally-recognized tax controversy department. His practice focuses on the representation of individuals and businesses throughout all stages of civil and criminal federal and state tax controversies, including litigation in federal and state courts. He joined the firm in January 2010, practicing law while simultaneously pursuing his Master of Laws in Taxation (LL.M.). Rounding out his business tax practice as well as his experience in accounting and finance, Giovanni obtained a Master of Business Administration (M.B.A.) in 2011. After practicing law with the firm for over a year and a half, he accepted a two-year position in Washington, DC as an attorney-adviser with the United States Tax Court. Giovanni returned to the firm in 2013 and applies his broad experiences to guide individuals and businesses through a wide-range of complex tax issues. Giovanni earned his Juris Doctor from the University of Baltimore School of Law where he served on the editorial board of the University of Baltimore Law Review, the National Civil Rights Moot Court Team, and as a Litigation Fellow with the Snyder Center for Litigation Skills. He earned his Master of Laws in Taxation from the Georgetown University Law Center in Washington, D.C. where he served as a Case Note Mentor for The Tax Lawyer, a nationally recognized legal journal published by the American Bar Association. He frequently dedicates his spare time to community and charitable events in the Baltimore / Washington metropolitan area. Represented a restaurant owner who was the subject of a criminal tax investigation by the IRS Criminal Investigation Division. The IRS was persuaded not to bring criminal charges against his client. Represented Maryland tax return preparer under criminal investigation by the Maryland Comptroller and Maryland Attorney General for state criminal tax offenses. Represented a taxpayer in litigation before the United States Tax Court in a tax deficiency matter related to business debt. The IRS sought to hold the client liable for taxes, penalties, and interest in excess of $1.6 million. Successfully convinced the IRS to concede the case resulting in no taxes, penalties or interest due from his client. Represented a business in sales tax litigation involving the District of Columbia Office of Tax and Revenue (OTR). Participated in multiple hearings and conducted numerous depositions of government officials, ultimately convincing the OTR to settle a proposed tax liability of approximately $340,000 for $20,000. Represented an individual before the United States Tax Court. The IRS sought to hold the client liable for taxes and interest in excess of $250,000 related to four tax years. Obtained innocent spouse relief for the client before trial which resulted in no tax or interest due from his client. Defended an upscale Washington, DC nightclub in an IRS employment tax audit. Negotiated a favorable settlement with the IRS while successfully persuading the Revenue Agent not to expand the audit to other businesses owned by his clients. Represented the estate of a deceased attorney before the IRS Office of Appeals. Successfully negotiated a favorable settlement, reducing a proposed tax assessment of over $461,000 to $19,000. Represented numerous individuals in the 2011 Offshore Voluntary Disclosure Initiative (OVDI), 2012 Offshore Voluntary Disclosure Program (2012 OVDP), and 2014 Offshore Voluntary Disclosure Program (2014 OVDP). Represented individuals utilizing Streamlined Domestic Offshore Procedures, Streamlined Foreign Offshore Procedures, Delinquent International Information Return Submission Procedures, and Delinquent FBAR Submission Procedures. Represented individuals with offshore tax matters before the Comptroller of Maryland. Represented individuals with interests in Controlled Foreign Corporations (CFCs), foreign trusts, Passive Foreign Investment Companies (PFICs), foreign pensions, and foreign annuities. Experienced with compliance and preparation of schedules and forms for offshore investments and businesses, including all aspects of Form 8621, Form 8938, and FBARs. Represented individuals and businesses with potential criminal exposure related to domestic tax issues, guiding them through the IRS's Domestic Voluntary Disclosure Practice and corresponding state practices. Represented individuals and businesses through administrative appeals with the IRS Office of Appeals, Maryland Comptroller’s Office of Hearings and Appeals, and District of Columbia Office of Administrative Hearings. Successfully argued for reductions or elimination of assessments related to various substantive tax issues. Represented employee benefits plan in IRS examination. Worked directly with revenue agent to resolve the examination with no changes. Represented individuals and businesses with tax collection issues. Defended taxpayers facing enforced federal and state collection action including levies, liens, and wage garnishments. Negotiated collection alternatives for individuals and businesses with the IRS and Comptroller of Maryland, including Offers in Compromise and installment agreements. Represented individuals and businesses with administrative claims for refund against the IRS. Successfully argued for, and obtained, a large refund for a Maryland Neonatal Intensive Care Unit nurse pursuant to Internal Revenue Code section 108. Represented individuals before the Maryland Department of Business and Economic Development and the Maryland Comptroller’s Office of Hearings and Appeals with respect to the revocation of a claimed Maryland Biotechnology Investment Incentive Tax Credit. Represented individuals and businesses in penalty abatement requests with the IRS, the Maryland Comptroller, and the District of Columbia Office of Tax and Revenue. Successfully convinced the IRS to waive all penalties assessed against his client, a well-known bakery business. Represented taxpayers facing summons enforcement action in U.S. District Court. *Past results do not guarantee future outcomes as every individual case stands on its own facts and circumstances.